Is it a backpack? Is it a pannier? No, it’s a bicycle backpack! Incredibly handy, these essential accessories combine all the advantages of a backpack with the convenience of a pannier. 1) Comfortable carrying It might surprise you, but a bike basket is very comfortable to carry indeed! 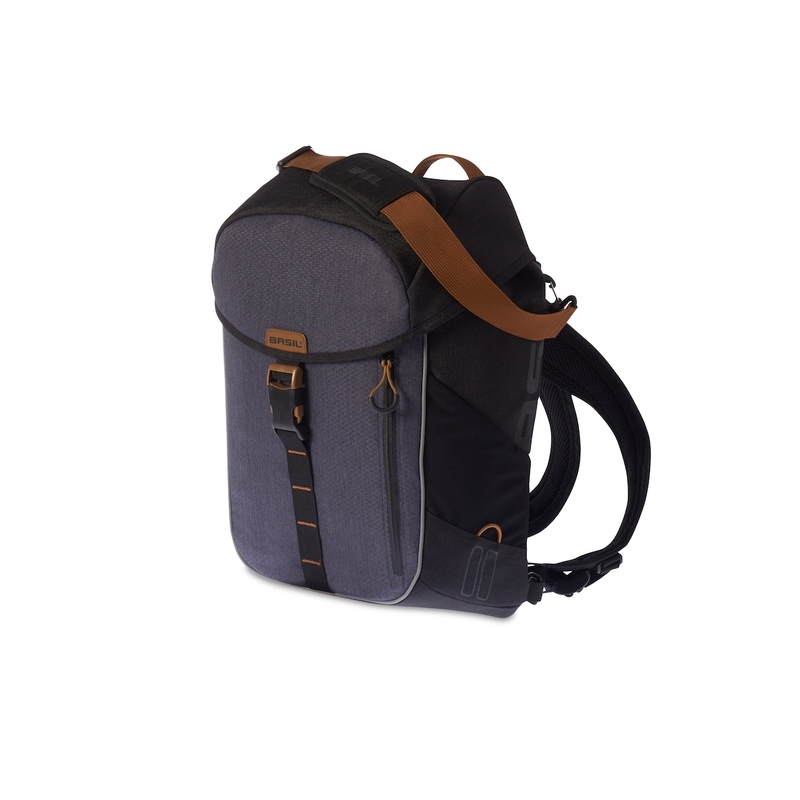 A Basil backpack comes fully padded, meaning it feels fantastic when worn. 2) Easy attachment to your luggage carrier Even better for your back is the fact these backpacks attach to the luggage carrier of your bike with the handy hook-on system. This prevents you from arriving at your destination needlessly hot, bothered and sweaty. 3) More stability when cycling When you hook a bike backpack to your luggage carrier, you can enjoy a much more stable ride than if you were cycling with it on your back thanks. What’s more, stable means safe! Want to know which bike backpack suits you best? 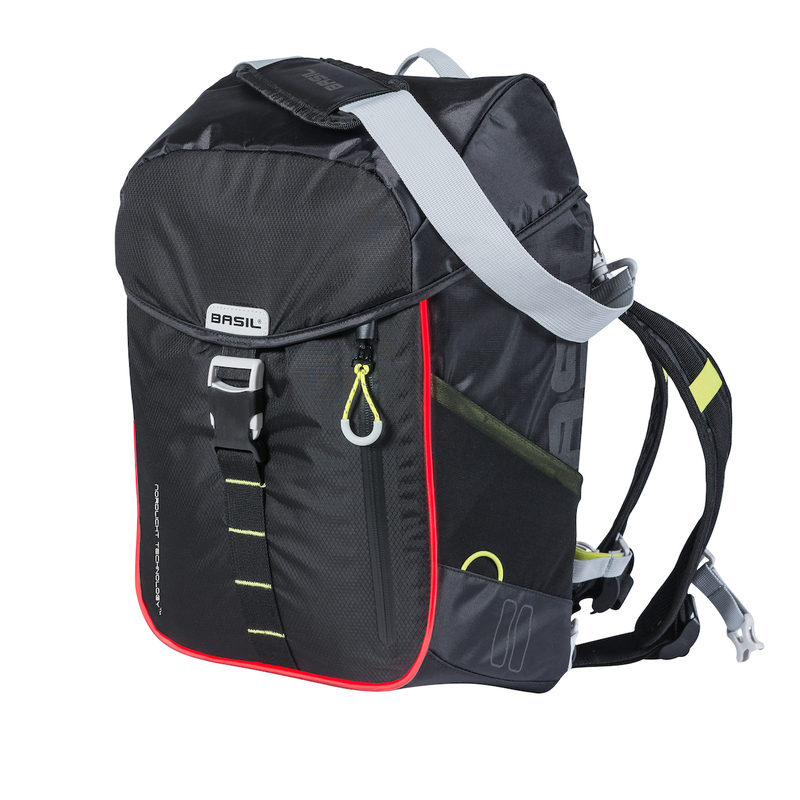 Bicycle backpacks come in all shapes and sizes, with different options for various occasions. 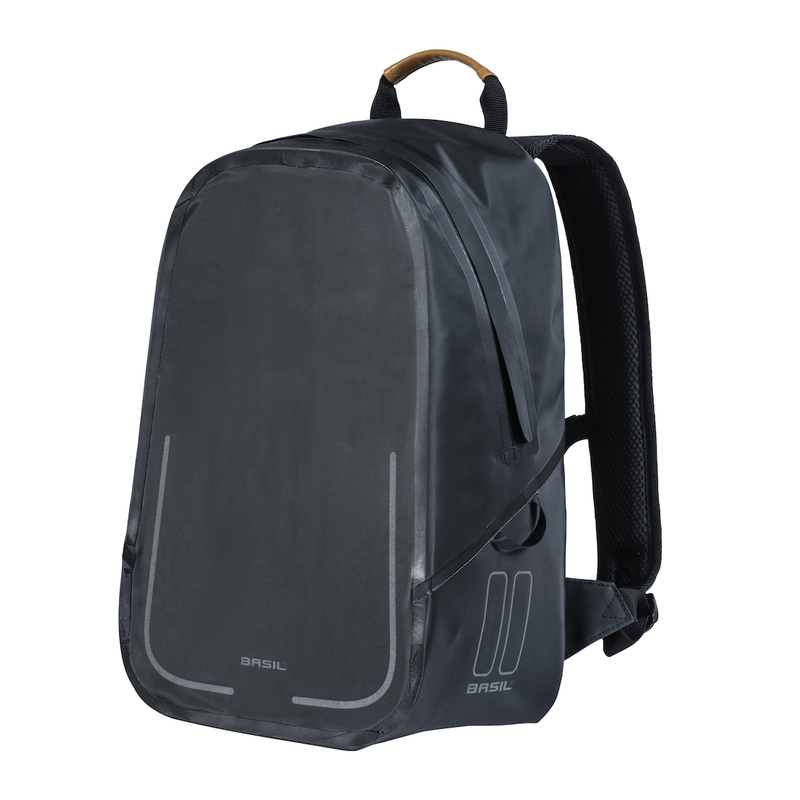 A bicycle backpack for commuting meets different requirements to one that’s intended for recreational use, for example. 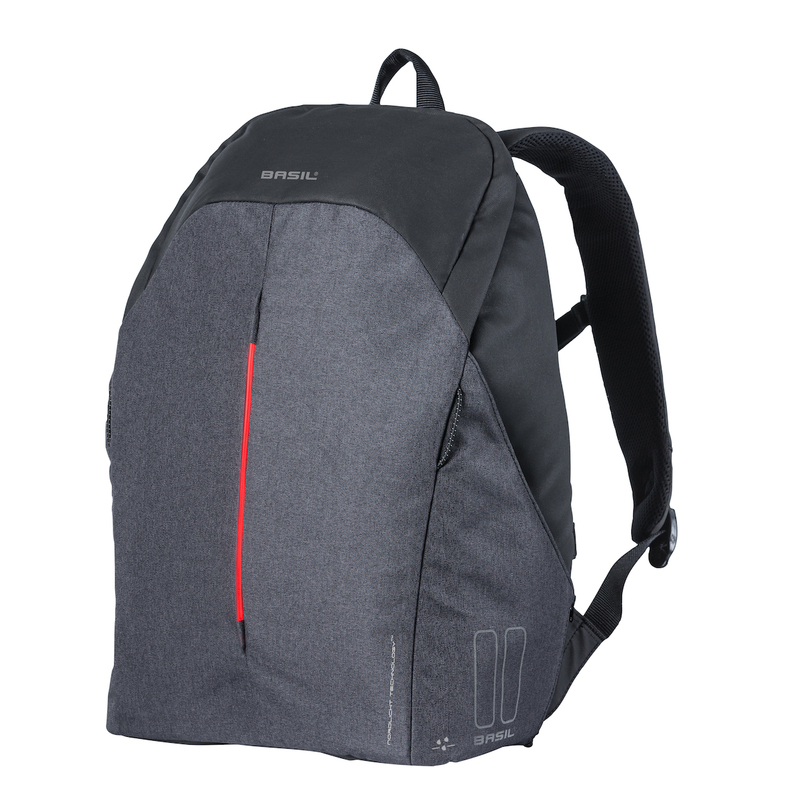 This also means that each backpack has unique characteristics. 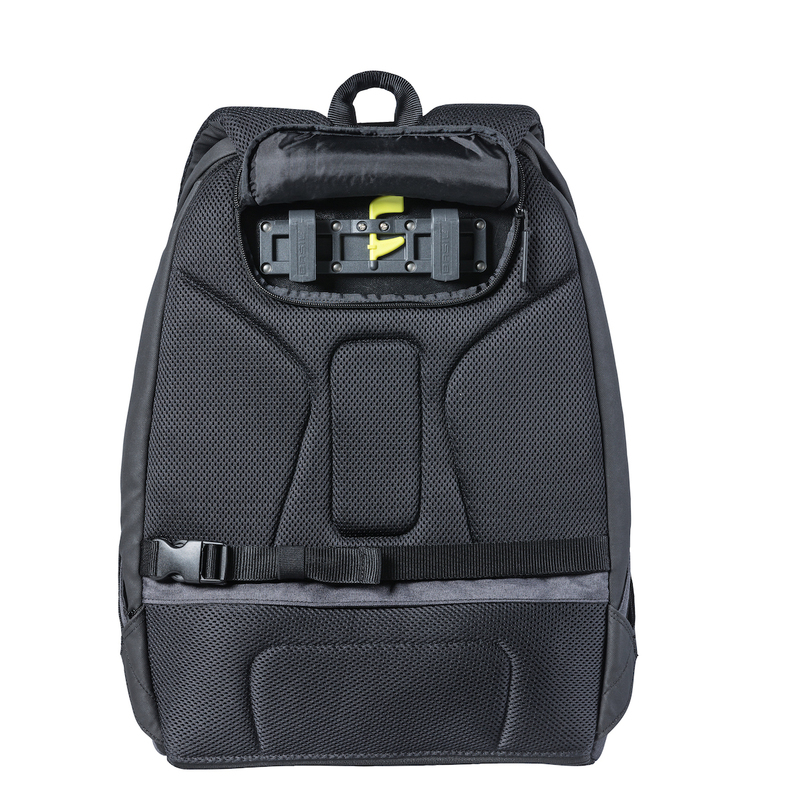 For example, a bag designed for the school commute will have a padded laptop compartment, while a bag for long or short haul bike trips will have various compartments where you can stow away your essentials and take them with you. 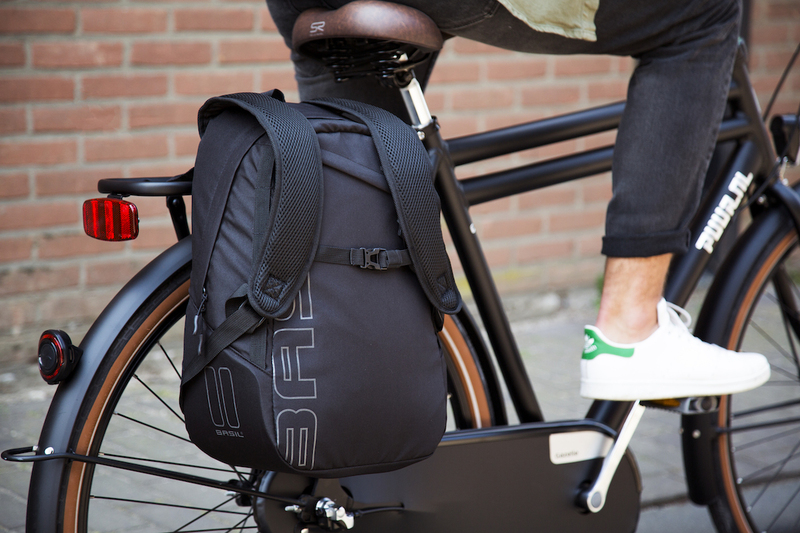 To find the ideal bag for each moment, we’ve prepared a handy bicycle rucksack guide. With this to hand, you’ll be able to pick out the perfect backpack for you. Choose between commuting convenience, recreational or multifunctional use. 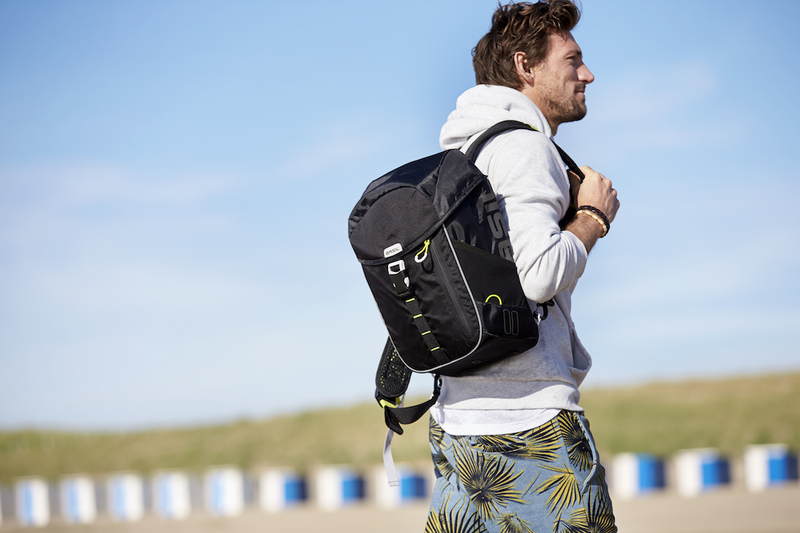 As soon as you’ve decided what the occasion is, you’ll be able to see a selection of suitable bike backpacks. Once you’ve got the shortlist, it’s time to pick out the perfect bike backpack for you. Cycling to and from work gives you plenty of freedom, without the worry of being caught up in traffic. It also gives you plenty of independence. You decide where you want to go and when. This is why you need a bicycle bag that’s just as flexible as you are. 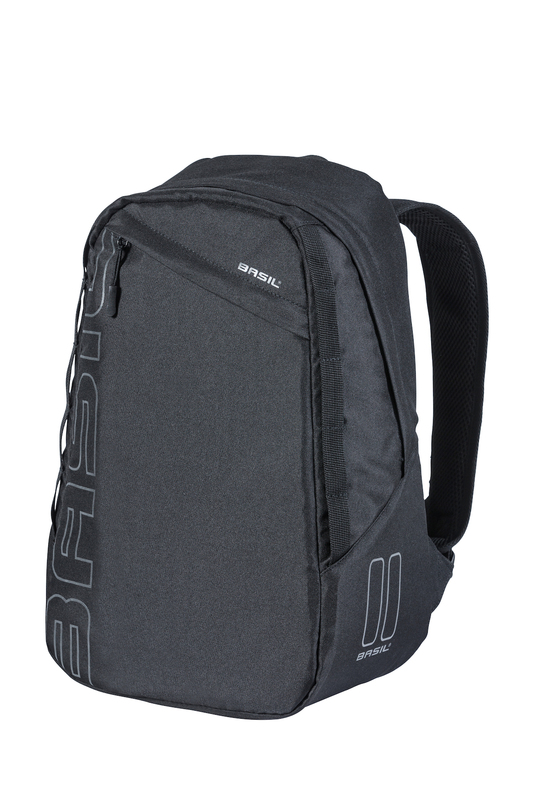 A backpack is the ideal choice, transporting your essentials from A to B with ease, while also keeping them dry. 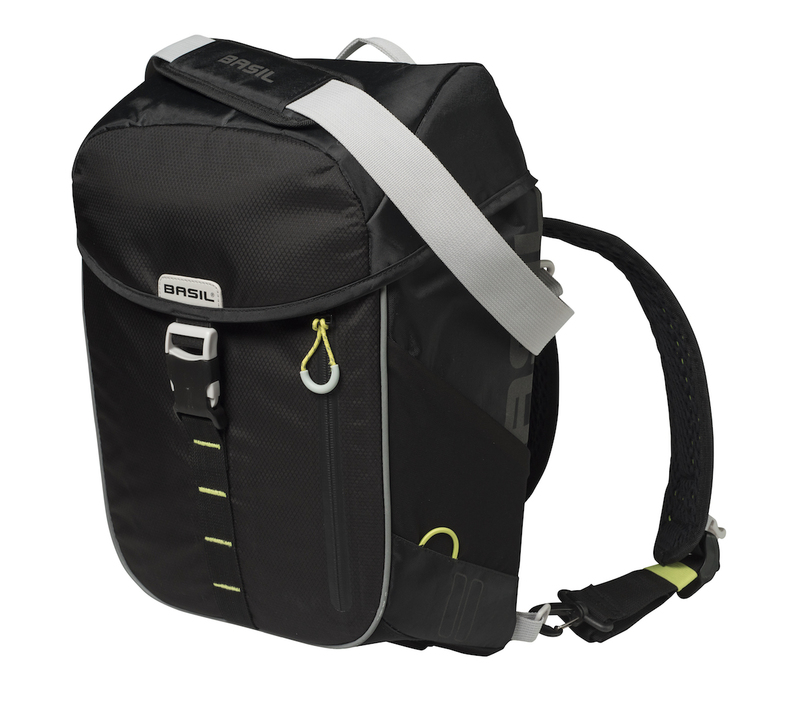 Whether you’re grabbing your bike for a long or short trip, you want a bike backpack that can carry essentials in various ways. On your bike, on your back, across the body. Wherever you go, your gear is close to hand and comfortable to carry. Caught in a downpour? No worries. Your gear stays dry thanks to a waterproof inner pocket. Taking a break in the city? Heading out on a daily ride to the office or school? 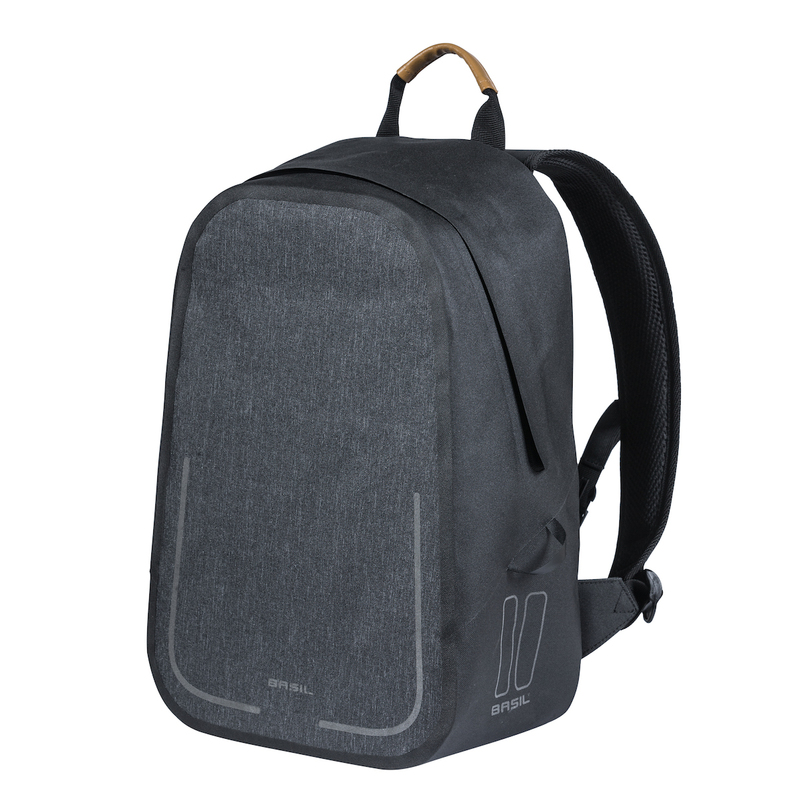 You want a bag that can store all your essentials and attach to your luggage carrier with ease, allowing you to carry your items comfortably. Of course, you can always count on a stylish and eye-catching design.